4-22-11 Queens and Pages Book Club met last night to discuss “The Postmistress” by Sarah Blake. I can’t say that everyone loved the book. We found it interesting and enjoyed meeting the characters but we wanted more. As book clubs do, we went back and forth just commenting and adding to what others had said. In the end, we could not really come up with what the book was about, what was it trying to tell us? During our two hours, we discussed Will’s premise that life was connected versus being random. Now, I think it is not, because randomness is also a pattern. We did not get into why both Harry and Will had to die. We discussed the war and the end of innocence. Frankie bringing the voices back to remind herself of “the truth.” We wanted to hear Otto’s wife’s voice on the record and when we didn’t, we hoped that she got back to him. Otto, the random German Jew in the midst of the American way of life did not have a place, still out of place where he was. The three characters: Emma had a profound wisdom but child-like view of the world. Frankie the world weary traveler, monied, wanting to get our attention, and Iris, a very strange, pragmatic woman who valued order above all. So why did she do what she did? All of us wanted to know more about the connections between these women and then what happended next. The ending did not come back to the beginning where Frankie started telling the story, it just ended. Honestly – I wanted to love this book. I wanted to fall down in adoration and sing its praises and recommend it to everyone I know. I mean – look at it. The cover is beautiful. The title catching, simple, perfect. The premise a beautiful one, the story of two women who were unable to simply.. do their job, in a time when doing their job was one of the hardest things they could possibly do. So on one hand, while there were moments I was extremely touched (mostly during speeches made and newscasts made), I felt as if Blake stopped just short of really getting somewhere with the character. I felt anger and frustration because I wanted to know these characters. I wanted to know Emma and Iris and Frankie. I wanted to know what made them tick. I wanted to know what made Iris do that incredibly crazy thing at the start and why Frankie felt so compelled to go to London to report the news. I wanted to know why Emma was separated from her husband for so long and how she handled the unexpected gift he left behind for her. Instead I was left with a story that tried to tell too much in too short a time. Instead of focusing in and really delving into the characters we were only given a glimpse and that is why this book isn’t getting the high praise I desperately wanted to give it. I have never felt so incredibly frustrated after reading a novel. There was so much potential here – so much that could have been told. Excerpt: In THE POSTMISTRESS, Sarah Blake looks at World War II through the eyes of three distinct women all connected through means of private and public media. In many ways, THE POSTMISTRESS itself follows Frankie’s conception of a news story as story and herein lies the beauty of the novel. Sarah Blake’s novel does not follow the traditional concepts of a novel. THE POSTMISTRESS tells the story of World War II through the edges, in the lives of the three women and the events of their lives, often events that even seem unrelated to the larger scene playing out in the world. Indeed, the emotional impact of the story builds as Frankie stops trying to tell the truth of the war and listens to the voices of those around her. The “truth” of the war often emerges in the edges, in those stories told and unspoken by the press and even the characters to some extent. 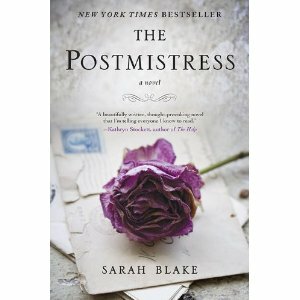 Although Sarah Blake draws on the history and historical figures of the times, THE POSTMISTRESS is not a historical novel filled with date and details from the history books. The reader will not find all the horrific details of the Holocaust or the London Blitz and yet, in telling the story through the edges of war scene, THE POSTMISTRESS allows the reader’s imagination to enter the story. With the copious amount of World War II history and fiction published, readers undoubtedly are more than familiar with the main story of the War, and yet, THE POSTMISTRESS brings a freshness to the story. For this reader, THE POSTMISTRESS, is one of the first to tell the story of the trains from a viewpoint that truly engages imagination and emotion in both the details of individuals, sometimes even the characters for whom only a name and place is known, who might have experienced the events. Like Frankie’s approach to the story, less is sometimes more. Equally, the conflicts and struggles of Emma Fitch and Iris James bring a whole other emotional dimension and texture to the story. I have been a reader and a pet lover all my life. In between “having my nose in a book” and being somewhat of a tomboy, I played with and help raise dogs and cats. Growing up, behind my step-fathers combination grocery store, gas station and sporting goods store, my mother raised Chihuahua’s and Pekinese dogs. We had several other kinds of dogs as well and I learned to love them as we took care of them but also because they simply loved me back. You know how it is, they love their people. At one time, we had fourteen dogs and cats, and a lot of newspaper protecting the floor, in that two bedroom apartment. My interest in books also began early I think because my mother was always reading and interested in what was going on. I started with the traditional kids books and probably read “No Children, No Pets” about sixteen times. I recently mentioned this to a retired teacher in our book club who knew the book! Still! So, I am interested in taking care of our pets. I am also interested in books and literacy. I would like to use this forum to talk about these two in terests and invite those readers out there to comment on what they are reading as well as what they think about what they are reading, suggestions and recommendations for other readers. Also, if you have a pet, stories, photos, please feel free to post. 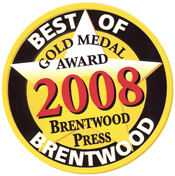 I have had in the back of my mind, for some time now, that we need an animal shelter to serve Brentwood and Discovery Bay. We welcome your comments.